Winter has arrived, and with it comes the chance of snow and ice. With snow and ice present, there becomes an increased likelihood someone will slip and fall. Ordinarily, landowners have a duty to make sure that their property is safe, and to warn visitors about hazardous conditions (like snow and ice) that exist on the property. If the landowner fails to do so, and someone is injured as a result, then the injured person could file a “premises liability” claim against the landowner. This is commonly known as a “slip-and-fall” case. However, not every “slip and fall” on snow or ice gives rise to a premises liability claim. Where did the injured person slip and fall? The duty to clear snow and ice is different for homeowners versus business owners and landlords. In certain cities and counties, homeowners may be fined for not clearing sidewalks; however, homeowners will not be liable in a civil case for failure to comply with these ordinances. A Business Owner has a duty to use ordinary care to remove natural accumulations of snow and ice within a reasonable length of time after the precipitation stops falling. A Landlord has a duty to use ordinary care to remove natural accumulations of snow and ice within a reasonable length of time after the precipitation stops falling. You have a duty, too! In some cases, landowners assert the affirmative defenses of Contributory Negligence and Assumption of the Risk in order to avoid being held liable for a “slip and fall” injury that happened on their property. This means that even if the landowner breached his or her duty to keep the property safe by taking care of the ice, the injured person who slipped and fell on a patch of ice or snow might not prevail against the landowner at trial if the injured person was not acting as a reasonable person at the time of the injury. In Ward v. Clark, the Supreme Court of Virginia held that the landowner was not liable to the Plaintiff because the Plaintiff was contributorily negligent as a matter of law. In this case, the Court found that the Plaintiff had the option of using the dusty and narrow, but otherwise safe steps that led from the back of her apartment, or she could use the ice covered front steps. The janitor for her building was in the process of cleaning the ice from the steps. Because the Plaintiff chose to use the steps clearly covered in ice, instead of the back steps that were safe, the Court found that the Plaintiff contributed to her own injuries, and the landlord was off the hook. In Langhorne Apts. V. Bisson,. the Plaintiff returned home late at night using the only walkway to his apartment. He knew the sidewalk was slick, and he proceeded in a careful manner, and walked slower than normal. He could not step into the area next to the sidewalk because it was covered in snow, and he was not wearing boots. On these facts, the Court found that the landowner should have cleared the ice and snow from the sidewalk, and that the tenant did not contribute to his own injuries because he did not have a choice about where to walk. While there is no statewide law creating a duty for homeowners to clear the sidewalks adjacent to their property, some cities and counties have local ordinances. Fact: a landowner cannot be held liable in a civil case for failing to obey these local ordinances.. Fact: a landowner can be fined and punished in a criminal case for failing to obey these local ordinances. Here is a list of local cities and counties in Virginia that impose responsibility on home and business owners to help clear sidewalks. This list is not exhaustive, and may be subject to change as laws are added, removed, and amended. Some cities and counties may not have ordinances, but homeowners may still be subject to the requirements mandated by their own Home Owners Association. Be sure to check those as well! Walking in wintry conditions can be dangerous, and it is important to understand that not every “slip and fall” is a successful personal injury claim. A successful “slip and fall” claim depends on many factors, such as where the fall occurred and how the dangerous condition which caused the fall came to exist. It also depends on whether you and the owner of the property knew the dangerous condition was there. These are complicated cases. If you or a loved one has been injured in a fall, you may have a valid claim against the property owner. 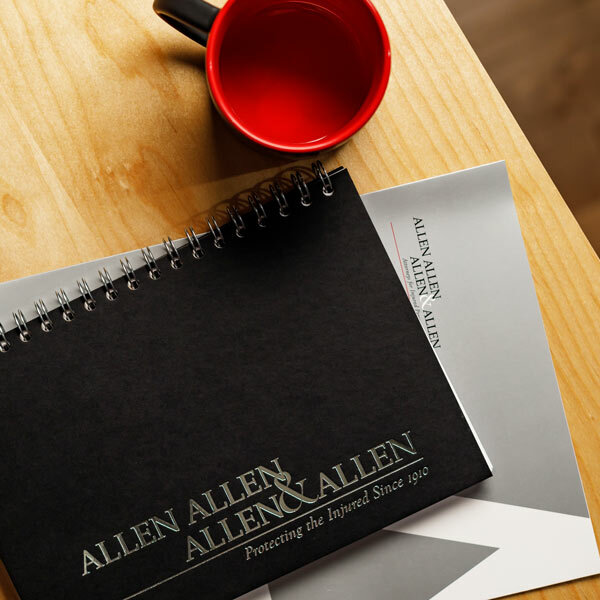 The attorneys at Allen, Allen, Allen, & Allen can help you determine if further action can or should be pursued..
 See Tate v. Rice, 227 Va. 341, 348 (1984). See Johnson v. J.S. Bell, Jr. & Co., 202 Va. 274, 276 (1960). See Langhorne Road Apartments, Inc. v. Bisson, 207 Va. 474, 476-77 (1966). See Langhorne v. Bisson, 207 Va. 474, 476-77. Uber, Lyft, and other “TNCs”: How Much Insurance Coverage Do Rideshares Provide?